Scouts is a youth-led, youth-run organization, but the youth must be trained to be leaders. One of the Scoutmaster's most important responsibilities is to provide the direction, coaching, and training that empowers the youth with the skills they will need to lead the troop. Scouting's value to young people is clear, but the advantages of Scouting are not limited to youth. Adults also develop leadership and physical skills with every training experience. Training: Every Scout deserves a trained leader. When leaders understand Scouting, they are more effective in their roles. Every leader should take both Fast Start Training and Youth Protection Training online. Scoutmasters and Assistant Scoutmasters should then take Scoutmaster and Assistant Scoutmaster Basic Leader Specific Training and Introduction to Outdoor Leader Skills (IOLS). Troop committee members should take Troop Committee Challenge online. Learn more about leader training. Roundtable is a monthly meeting offered by districts that gives leaders hands-on experience and provides a forum for leaders to offer and receive help from their fellow Scouters. Roundtable is open to all parents and leaders. Roundtable meetings allow you to hear directly from the district leaders on upcoming district and council events and activities. This is a great place to ask questions and meet other parents and leaders in your area. Find a roundtable near you. Annual Planning: A common element of strong units is they all have a good annual program planned a year in advance that is then shared with all families in the form of a calendar, trained leaders and the right leaders. Attend May roundtable to receive copies of the district and council calendars and information on programs to help plan for the next calendar year. Additional resources can be found here. 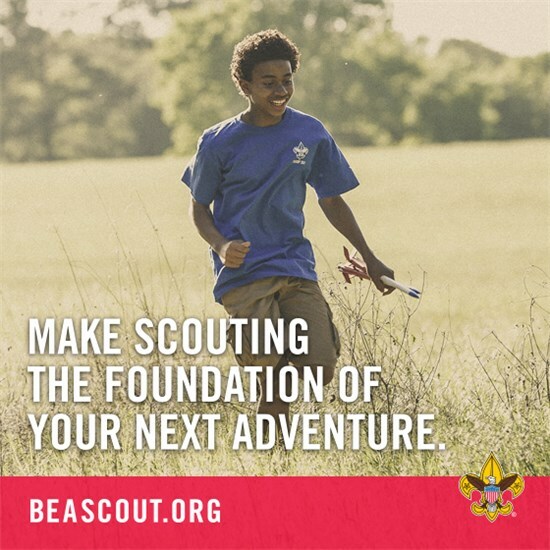 BeAScout.org is a tool prospective families use to find units to join. BeAScout.org has a Google pin for every unit. Unit leaders can update your unit information to make it EASY for new Scouting families to find your unit by logging into myscouting.org and looking under Unit Tools, selecting BeAScout, and then clicking on "Unit Pin Management." Additional resources are available. Troop Leader Resources is a new, BSA-authorized website that helps Scouts and Scouters plan better meetings. With its videos of real Scouts in real troops, the site is a one-stop shop for new and experienced troop leaders. Helpful tools include: Troop Meeting Agenda, Program Features, Program Resources, Planning, Outings, General Troop Information (troop positions, the patrol, boards of review, courts of honor, fundraisers and the Scoutmaster conference). Share your ideas for outdoor programs and view suggestions that others have submitted. Scouting provides a series of surmountable obstacles and steps in overcoming them through the advancement method. The steps in the advancement system help Scouts grow in self-reliance and in their ability to help others. The authoritative source on advancement policies and procedures and best practices for all BSA traditional programs. Leave No Trace is an awareness of our impact on the environment that teaches us to respect the rights of other users of the outdoors as well as future generations. Outdoor knowledge and skills are highlighted throughout Scouting literature. Designed to help older Scouts, with guidance from their adult leaders, plan and safely carry out council and unit high-adventure treks. Zanfel Laboratories has offered to provide poison ivy treatment brochures to troops who would like to have them. The brochures appear to be helpful in identifying the particular plants and contain related information. This companion piece for the Scoutmaster Handbook contains resources, forms, and ideas for providing a dynamic program for Scouts. Ensure that adult leaders and Scouts alike present themselves properly dressed in their uniforms. In order to minimize human impact on fragile ecosystems, the Boy Scouts of America emphasizes these practices for all troops, and crews planning to use wilderness areas. The district is a division of the council that helps bring Scouting to your local area. Districts focus on membership, unit support, fundraising, training, district activities and promoting advancement and camping. There are a variety of volunteers on the district committee who can help including the district training chair, district advancement chair, district activities chair and district finance chair. Commissioners are volunteers who help Scout units succeed and can be a valuable resource. Each district has a district executive who is a Scouting professional available to answer your questions and can help explain BSA policies. A good place to meet district volunteers and other leaders in your area is at the district monthly roundtable meeting.